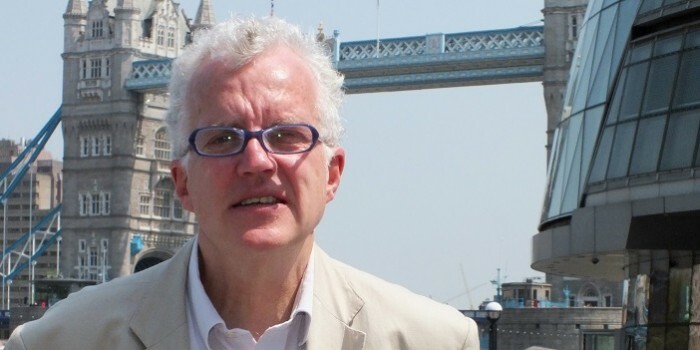 Proposals to scrap Gatwick Express, and for a new Superlink scheme to rival Crossrail, are both symptoms of the government’s failure to tackle capacity problems in the South East, argues CHRISTIAN WOLMAR. The Strategic Rail Authority stirred up a bit of a hornets’ nest when it suggested Gatwick Express should be scrapped as a dedicated airport link. That idea, contained in the Rail Utilisation Study for the Brighton Main Line, raises fundamental points about how the industry is going to cope with the fact that enhancements and even minor capacity improvements are no longer on the agenda. The SRA’s suggestion is that GEx should no longer be a shuttle between Victoria and the airport, but instead run on to various locations on the South Coast to make better use of existing capacity. It says this would be a ten-minute, rather than a 15- minute frequency, using 12-car trains, not the eight-car ‘460s’ whose fate is unclear. The gist of the SRA argument is GEx is lightly used – because they have a premium fare – and this spare capacity should be made available to commuters. On the face of it, that sounds sensible, but there are several problems raised both by the SRA and the response from BAA. The biggest problem would be in the mornings when trains coming from the coast would already be crammed and air passengers would be expected to drag themselves – with luggage – on to them. Although the SRA says the trains are only 80% full at the moment, and would at worst be 92% if each one picked up 100 passengers at Gatwick, that leaves little room for growth or error in the modelling. The last thing that foreigners, unfamiliar with our rail network, want after stepping off a flight is to battle on to a packed train. Currently, there is always a GEx train at the platform which passengers can get board. Under the new plan, they would face waiting up to nine minutes which may not be that much but, according to a study by the former head of the Railway Inspectorate, Alan Osborne, could also pose a safety risk. He reckons the island platform could not cope with large numbers of people with luggage, especially as there is only one lift and no escalator. Remedying such problems would cost a lot of money that is simply not available. Now BAA, which has produced a pamphlet called Murder of the Gatwick Express, is not exactly a disinterested party and it is merely protecting its commercial interest. However, companies such as BAA do not like getting involved in open rows with public bodies like the SRA. Clearly BAA would prefer a negotiated settlement which may involve, say, some investment from the company in return for a guaranteed service. BAA insiders felt the SRA would not negotiate over the RUS before publication and offered no genuine consultation. Indeed, this dispute sets two groups of rail users against each other – airport users and commuters – and this cannot be sensible when we should be encouraging greater use of rail to which there are already so many barriers – fares, reliability and punctuality levels, constant engineering and old rolling stock. The SRA does not appear to be enthusiastic about rail links to airports and may well feel regular travellers are more important than occasional users heading to and from them. In a world of limited and finite resources, that is a legitimate view but it has to be discussed openly. However, it has to be viewed in a wider context. BAA makes the good point that it is trying to encourage rail travel to the airport because it is more environmentally friendly (forgetting aviation is certainly not good for the environment) and it is under pressure to increase the proportion of people arriving by rail at its airports. Making air passengers travel on commuter trains is not viable . BAA feels there is room for compromise and makes several operational suggestions in its pamphlet, such as using sidings south of the airport or turning some trains round at the next station, Three Bridges. The rail passengers’ body in London, LTUC, argues the idea is unworkable and recommends “plans should be developed and funding sought for additional tracks and suitable platforms on the east side of Gatwick station to allow GEx trains to terminate without conflicting with other trains.” But that, folks, is just not on the agenda, unless BAA could be prevailed upon to pay. And maybe that is the game the SRA is playing, though not very subtly, but I doubt it. The row over the Brighton line was quickly followed by another when a team of experienced railway managers came up with an alternative to Crossrail to be called Superlink. Crossrail is the only big enhancement that we are most likely to get over thenext decade. As such, everyone wants a piece of the action. But also many in the industry are critical of it, suggesting it is the wrong scheme or simply too expensive. That is why Superlink’s proposers were willing to put their heads above the parapet. Crossrail won’t happen, they say, so let’s look at alternatives. Cue furious rage within the industry. The Superlink team is relatively heavyweight, including former head of InterCity, John Prideaux, and one of the founders of the team which won the Anglia franchise, Michael Schabas, as well as Chris Stokes, formerly the deputy franchise director in OPRAF days. They argue Crossrail is unfundable and therefore unlikely to happen, partly because it does not go where potential rail users need it. This has infuriated much of the industry which reckons Superlink jeopardises its chances of getting Crossrail approved and has no chance itself of attracting government support. The issue is whether the Crossrail plan is at all viable, even at the lower price proposed by the existing private sector alternative to Crossrail, London Regional Metro. Superlink’s team thinks not and suggests, instead, a whole network of routes that use the basic Crossrail tunnel, between Liverpool Street and Paddington, but extend to a far greater range of destinations. To make their plans acceptable, the Superlink proposers have to spend a lot of time dissing Crossrail. They say loadings would be light, it would not relieve congestion on much of the network, offers little development value and no benefit for those outside London. Instead, by creating a network, albeit 25% more expensive (numbers generally fly around the £10bn mark), they would attract far more users. Without much concrete evidence to back it up, they claim this will bring in three times the revenue and therefore make the whole scheme more viable. There is not space to consider fully the merits of this argument, but by questioning some of the tenets of the Crossrail case, the Superlink team has raised a valid issue. Many in the industry support Crossrail because it is the only way they see of obtaining a major increase in infrastructure in London within the next decade. Privately, however, they express doubts about whether it is the right scheme, just as the Jubilee Line Extension was not the railway with the best benefit- to-cost ratio when it was given the goahead in the early 1990s. Railways do have a fantastic regenerative effect which, of course, can never be paid for through the farebox, but Crossrail, by duplicating an existing railway through London, and not serving many of John Prescott’s new communities, does not maximise them. However, Crossrail is three or four years ahead of any other scheme as its route has been safeguarded since 1989, and the industry and politicians like Ken Livingstone, the London Mayor, have rallied round it. But Superlink has uncovered a weak spot in Crossrail. Essentially, everyone is in favour of building a big tunnel under London, but it is what you do with the trains when they come out of it that raises so many questions. (Superlink argues, too, there might well be better routes for the tunnel). The nub of the issue is Superlink says this has to be sorted out before the deposition of the Bill, while Crossrail supporters reckon that it is more of a moveable feast and it is imperative to get approval even if the scheme is not perfect. Superlink, though, is unlikely to happen and by publishing its proposals, the team has been politically naïve in the extreme. It will, as the Railway Forum has argued, give the Treasury and other government departments the opportunity to stall or simply scrap Crossrail without any alternative put forward. It’s a tough call – should we admit that “we are where we are” and all rally round a scheme because it has a better chance of happening than anything else, or simply reopen the debate with the knowledge that any of us over the age of 50 will probably be pushing up daisies before anything is built. Crossrail is the “only game in town” but it is a sticking-plaster approach that avoids providing the additional East-West (and North- South) capacity the South East really needs. The need to fiddle about with Gatwick Express results from the failure of plans to upgrade the line. Therefore, what links these rows is they are the consequences of the government’s failure to address capacity problems on the railways in the South East despite their importance to both the local and national economy. Given high costs and massive subsidies ensure the Treasury is not suddenly going to see the light on the need for railway capacity, expect more rows like this in 2005.